This is a great compact city that is also easy to explore. One of my recommended things to do is to visit the market that has been around for generations and the localy owned shops as well. Take a look around the morning market in Aozora Ichiba or Kousetsu Ichiba across the street and just a 10-minute walk from Toyooka Station. All of the produce and rice is grown locally by locals. Under the roof of Kousetsu Ichiba, Japan’s oldest wooden market, you will find flower shops and food stalls. This is a great chance to grab some sides from the various shops and put together your own bento, or boxed lunch. Since the morning market is only in the morning, what should you do next? Why not walk a few more blocks down to Caban Street (Bag street)? It is appropriately named for the number of specialty bag stores that sell handmade bags, wallets, and more. Some hold the coveted brand name of the town “Toyooka Kaban”, a title given only to the highest quality bags that meet strict guidelines set by the bag association. Afterwards, if the weather is nice, head back to the station to catch a city bus to one or two outdoor attractions. 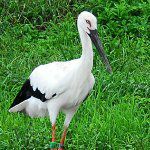 The first is Kounotori Sato Kouen, the sanctuary and nature preserve where the oriental white stork was saved from extinction. 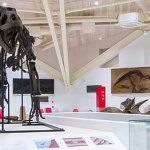 Here you can learn about the storks and see these impressively large birds up close. The second option is to take another city bus over to Genbudo Caves. An eruption 1.6 million years ago caused the formation of large columnar joints made of basalt, which formed several caves. It is also more notably famous for being the place where geomagnetic reversal occurred in the Quaternary era. 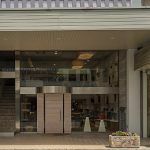 If you have been exploring Toyooka since the morning, you could probably use a coffee break. Stop by Higurashi Coffee along the main street. 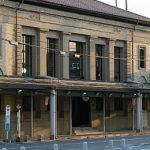 Having opened its doors in 1930, it is the oldest coffee shop in Toyooka and is said to be credited with introducing the area to the coffee culture. You can buy whole beans or ask the staff to grind them for you. In the back, they roast their beans themselves for added freshness. They even still use the original wood burning roaster that was handmade by the founder to roast some of their beans. Allow for a few minutes after you order your drink so that the staff can slow drip your own personal cup. While you are waiting, see if you can spot some cicada objects hidden on the shelf. Why cicada? Higurashi is the name of a type of cicada. The store is named after them because they could be heard chirping all around when the shop first opened its doors over 80 years ago. Either have a seat in the retro seating area that is decorated with original news clippings from when they first opened or grab your coffee to go. Take a look at the original coffee percolator sitting in the back in the small alcove. Run by colorful locals who add their own special touch to the menu and your visit. 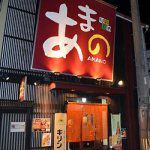 You will find a surprising number of bars, pubs, restaurants, and cafes scattered throughout Toyooka along the main streets, side streets, and back alleys. Some are easy to find and know what they have because of prominent signs and menus shown near their entrance. Others not so much. These are run by some colorful characters like the one pictured above, Madoka. 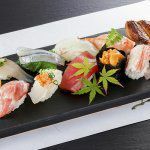 A small izakaya or Japanese pub-style restaurant run by one friendly obachan is a different kind of setting and atmosphere that can be easily described as “at home”. The menu changes from day to day, although there are some set items. What’s on the menu? Just take a look at the counter in front of where you sit. What you see is what you get. Simply point at the dish you would like and let the lovely lady behind the counter know how many servings you would like. It’s best to brush up on your basic Japanese before going to help you when ordering. Just knowing your numbers, “please”, and “thank you” will be sufficient. On the night I went, the seared beef, fried shishamo smelt, miso chicken, and fried fukinotou were quite good. Wondering which izakaya to visit? Want to know how to enter, order and pay at an izakaya? 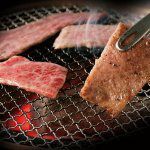 Looking for an izakaya with an English menu? Well, look no further than below. We have put together a guide to enjoying Japan's izakaya culture right here in Toyooka.